Today is, yet again, the reveal day for Secret Recipe Club! I have been up to my ears trying to finish up school and get everything together to graduate while also preparing for my move to Hawaii in January. Needless to say I have hardly had any time to cook or come up with new recipes of my own. Luckily, Secret Recipe Club gave me a great blog this month to browse, which led me to a new festive recipe for the holidays. Every so often I reminisce of my childhood eating habits and laugh. I used to be the pickiest eater. I only liked fruit, meat, peas, corn and potatoes. I would never try things and was always skeptical. In the last two years, I have grown to like almost every food and now am always eager to try new things. 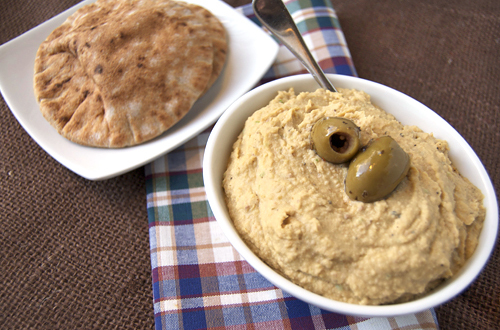 One of my newest obsessions is hummus. 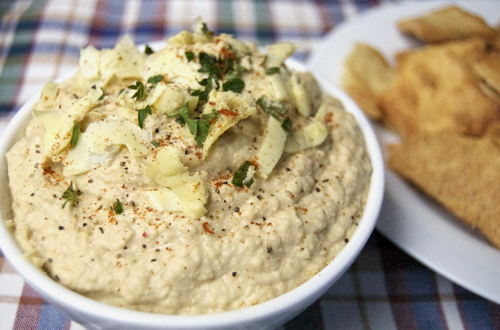 I had hummus for the first time last spring, made it for the first time this fall and am now addicted. The GoodWill near my house recently had a half off sale. I know that seems ridiculous since everything is already priced so low, but it mean shopping time for me! It was like Christmas going through their kitchen section. There were so many cute accessories and dishes for my food photos. I came out with multiple textured mats, plates, bowls, silverware and more all for only $14! This picture shows a few of my new accessories. I love the textures in this photo even though the colors are a bit off. After my last post I got a message from my mom asking if I really ate spinach artichoke dip for dinner. The answer is yes, sorry Mom I know it’s not healthy but sometimes you just need to indulge your cravings. 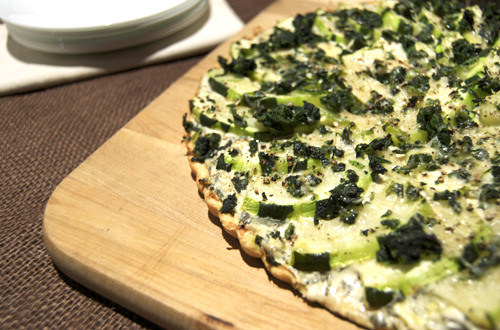 So apparently spinach artichoke dip is not OK for dinner… unless you turn it into a savory vegetable tart! So here it is, dip for dinner plus another zucchini recipe for all of you drowning in zucchini at the moment; for all of you, there are quite a few zucchini recipes coming up this next week, so grab all those overgrown zucchinis from you garden and get ready. You know those nights when you are trying to figure out what you want for dinner but just can’t decide? 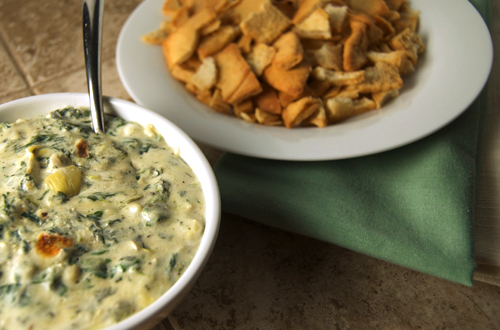 Then you also probably know those nights when you can’t decide because all you really want for dinner is something ridiculous… like spinach artichoke dip. That is exactly what happened to me last week. I couldn’t decide what to make, but I was craving spinach artichoke dip SO bad… so I decided I was having spinach artichoke dip and pita chips for dinner. Hey at least there are veggies in it right? Working in a fine dining restaurant has been amazing. In only a month, I have already learned so many things that I never knew before. I have learned how to shuck oysters, how to make an immulsion, seasoning techniques, flavor concepts, how to prepare mussels and much more. 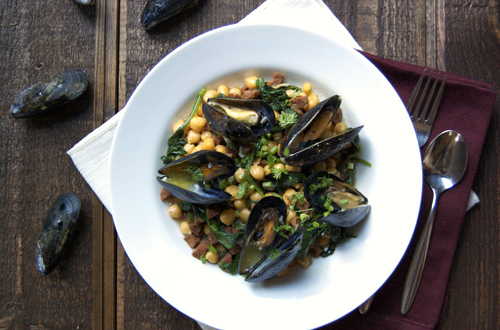 After watching all of the mussels that go out to guests at SALT, I really began to crave them. 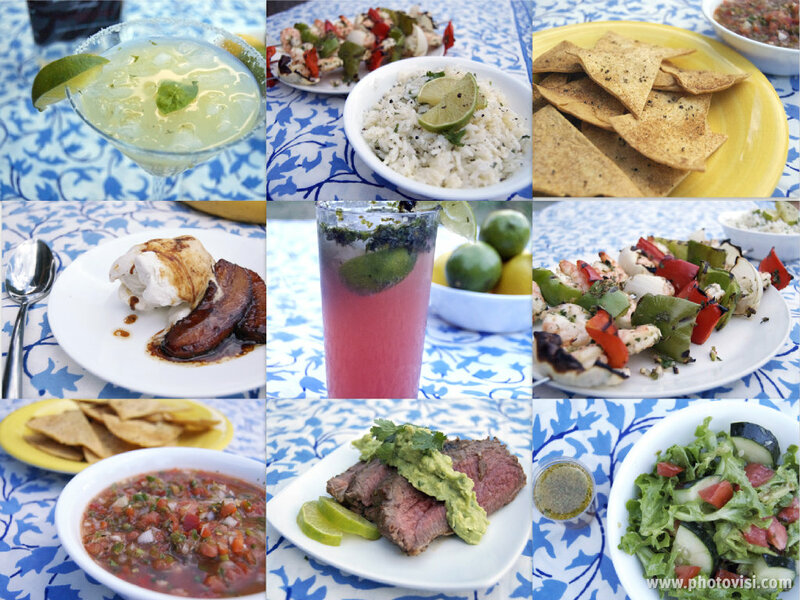 I went home a little bit ago to have dinner with my family and ended up spending the entire day learning about and working on my food photography with my mom (aren’t I lucky to have a mom who can show me that!?). I know that I have told you that most of my new roommates are vegetarians, but I don’t think I have told you that I finally am living with a fellow foodie! Kelcey is my good friend from high school; I can’t even go into all the stories that we have from the past seven years. She is a nutrition major, works at whole foods and does personal chef work for people around Boulder- can’t get much better than that right? I have never lived with someone who has a passion for cooking too, so obviously I am excited about this! I am also excited to see her vegetarian recipe ideas, since I mainly focus my meals around meat. I know that some more veggie recipes will make some of you very happy, so stay tuned! Either way, Kelcey and I wanted to make hummus for our other roommate’s 21st birthday, yes another 21st. The day has finally come! I have been waiting to throw my Foodbuzz 24×24 party all month and it finally happened. The 24×24 is a special event where Foodbuzz picks 24 featured publishers to throw 24 over-the-top dinner parties in the same 24 hour period. My themed party was called Hot Summer Daze. 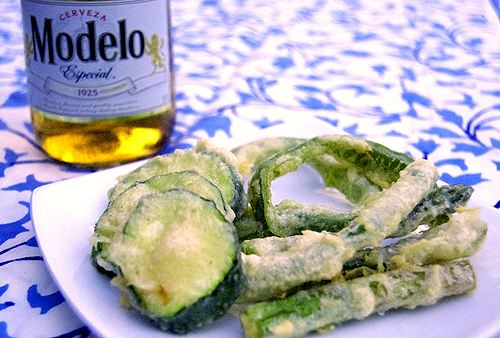 Along with the chips and salsa for my Foodbuzz 24×24, I made beer battered veggies tempura as an appetizer. Beer batters are great because the carbonation in the beer makes the batter puff up more when frying, which gives the veggies a fuller crunch. For these, I chose to use Modelo beer to keep the Mexican-type theme for the party. I fried asparagus, green beans, poblano peppers and zucchini (one of the first from our garden!). 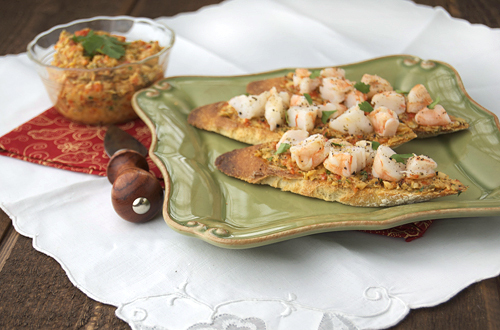 These are great served with guacamole or ranch dressing to dip.